DIY is a trend that will continue to grow this year. There are countless DIY related shows, there’s a DIY network, you can find DIY life hacks, DIY projects, and DIY video tutorials all over the internet. With all of this sound, qualified advice fixing and doing anything should be a breeze…NOT! As they say, “time is money.” Your time is valuable for many different reasons. You might think you’re saving yourself some time by fixing an electrical problem on your own, but the truth is you probably aren’t an expert or professional electrician so the chances of you doing it correctly the first time are pretty slim. Plus, it’s a whole other battle to repair someone else’s work. What if the previous homeowner had the same idea and tried to fix the problem on their own. Now you’re jimmy-rigging an already jimmy-rigged job. It just sounds like a recipe for disaster. Plus, when you hire Nies Electric, you can rest easy knowing you won’t wait around for 3 days everything in the freezer rots. We do the job the way everyone else should do it: with integrity, high-quality standards, and great customer service. This is by far the most important reason you should always hire a professional. Electrical work is dangerous. Shoddy work can lead to house fires and your insurance may not cover the damages if you did the work yourself. Honestly, it’s just not worth risking your family, yourself, or your home. You might think doing the project yourself will save you some money. This might be true as far as the upfront costs go, but when something goes wrong you’ll have to pay to have the original problem fixed plus anything else that was damaged during the attempted repair. You’ll end up spending more money, more time, and having more headaches. 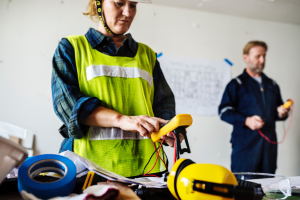 With all of the hype around the DIY craze, people often think electrical problems require a simple fix and can be done on your own. 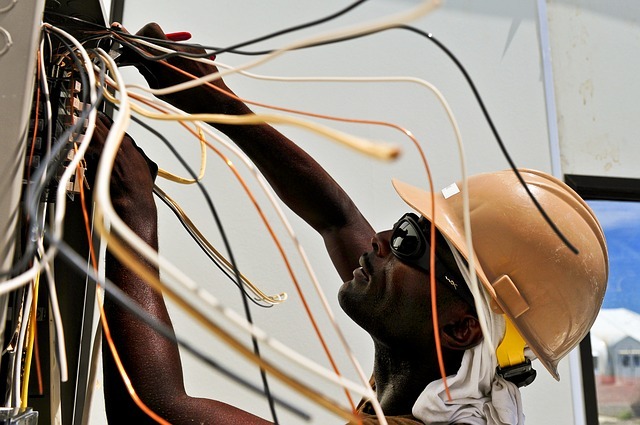 This poses many problems and there are numerous reasons why you should hire a professional electrician. To put it simply: you wouldn’t allow someone to perform surgery on you simply because they played the game Operation as a kid, would you? The same can be said for an electrical project. For quality work and service contact Nies Electric today!